These unfortunates are wearing suits that were resistant to chemicals and toxins, but not to the bites of zombies, as they found out the hard way. 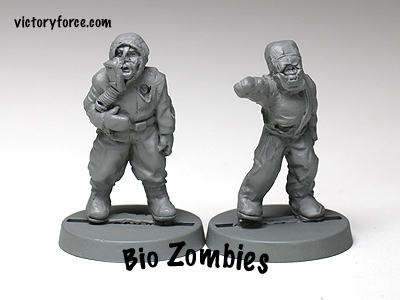 Find them in the Zombie Horde II: First Responders in the Creatures Section of the Victory Store. This entry was posted in Spotlight and tagged 28mm, creatures, spotlight, zombies. Bookmark the permalink.